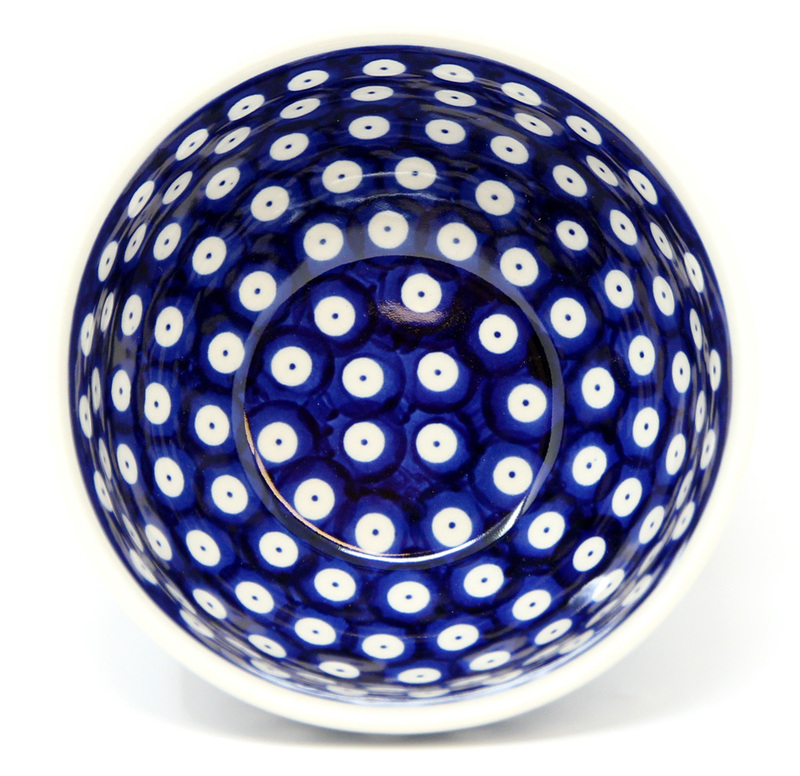 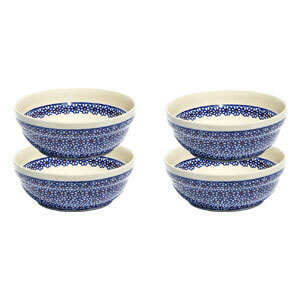 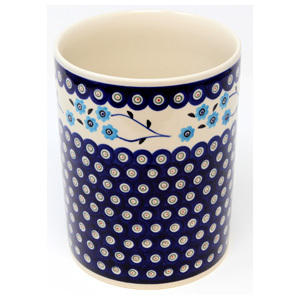 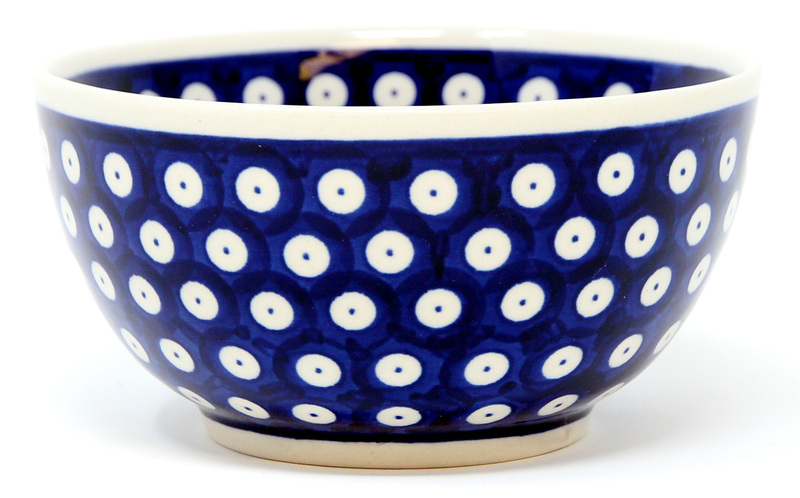 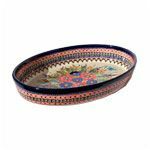 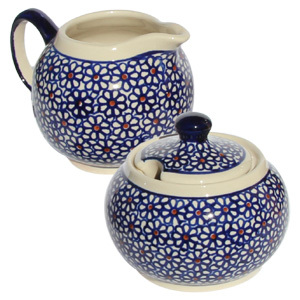 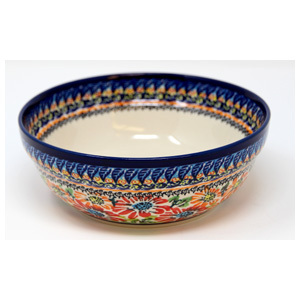 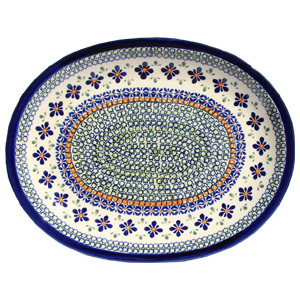 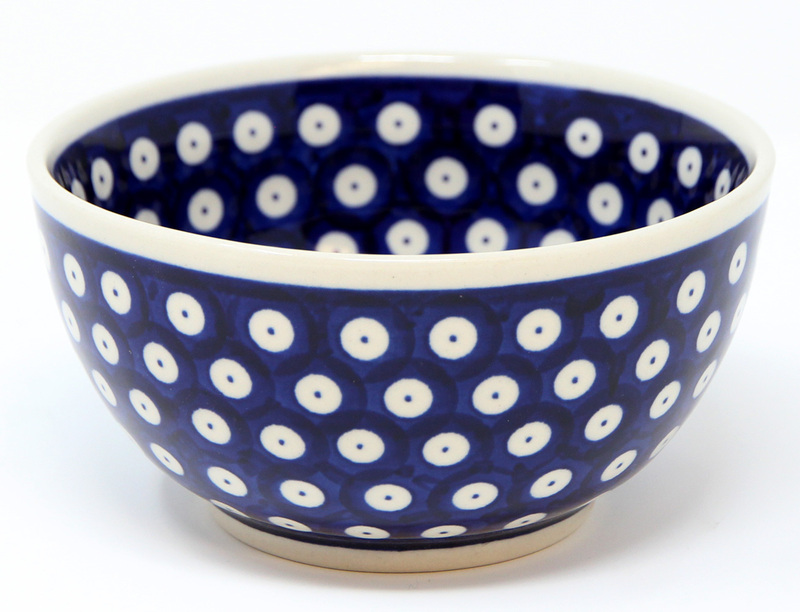 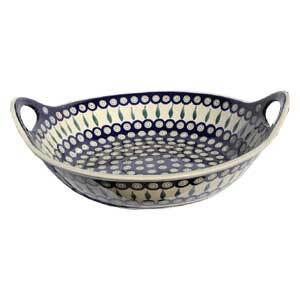 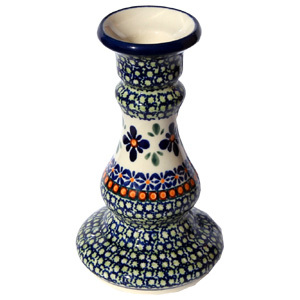 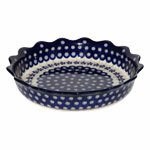 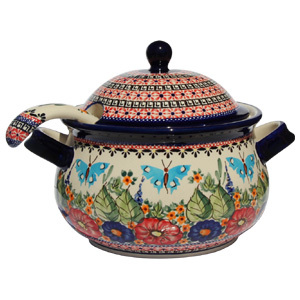 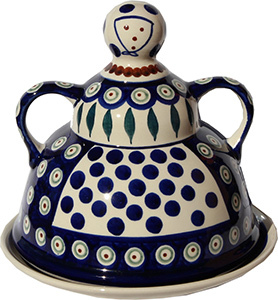 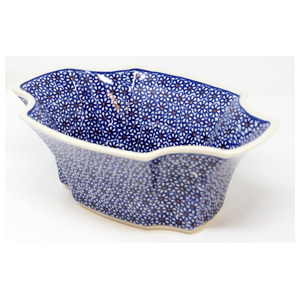 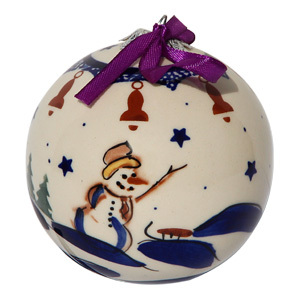 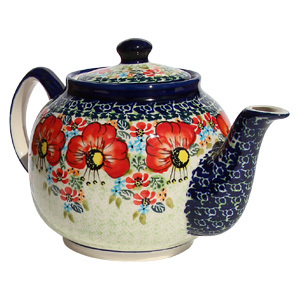 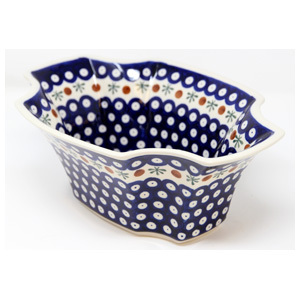 The Polish Pottery bowl in royal blue splotches ismade in Zaklady Ceramiczne BOLESLAWIEC. 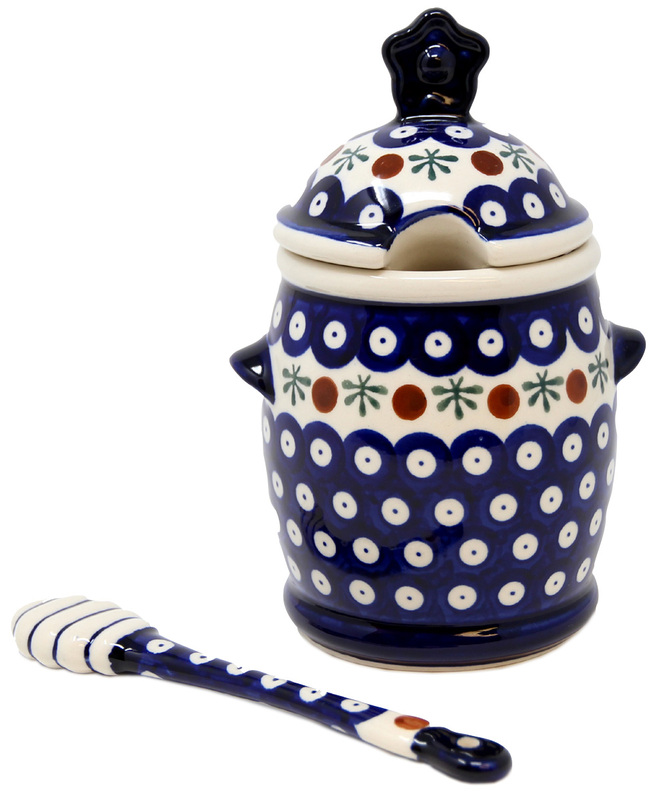 The eighteen ounce capacity with a diameter of five and a half inches is a vessel suited for frozen custard. 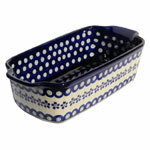 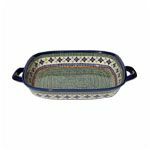 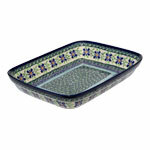 Product is microwave and dishwasher safe and is very durable. 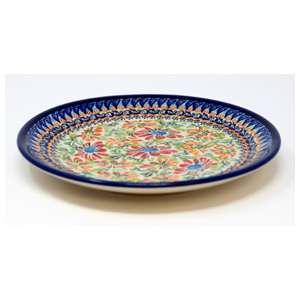 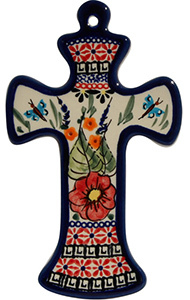 Consider pairing with a dinner plate or a salad/ dessert plate to complete a table setting.